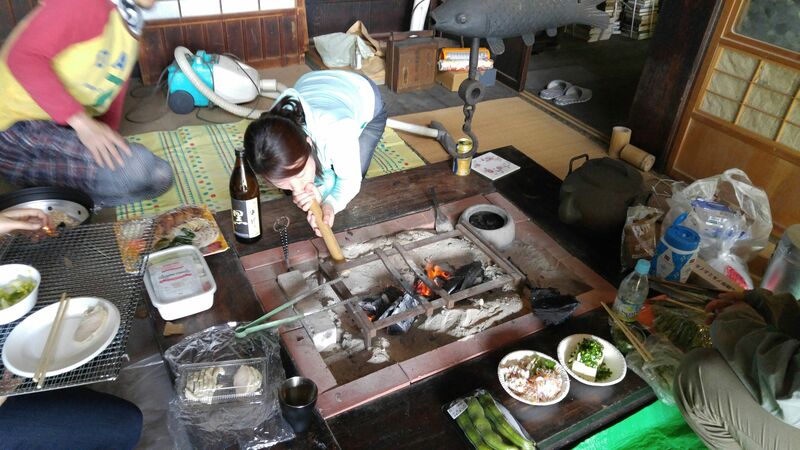 Fern & Bamboo Shoots Picking and BBQ in Higashi Mine, Shizuoka City wth Marufuku Seicha Co.! 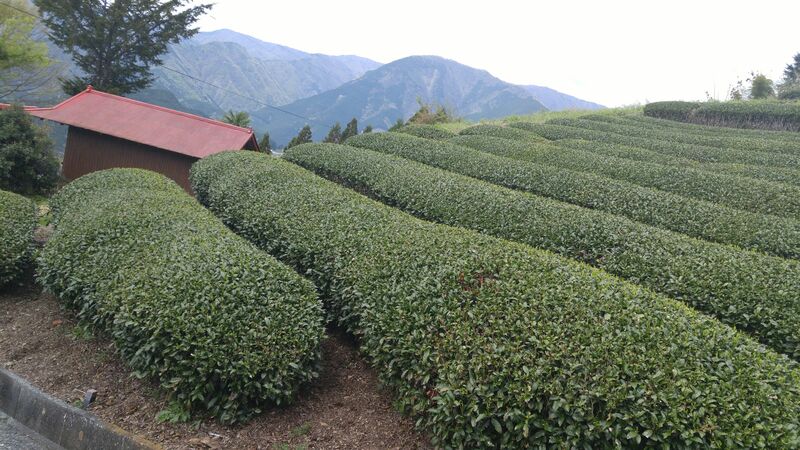 The other Sunday I was invited by my good friend, ms. Asami Iti/伊藤麻美さん, owner of a very progressive green tea company, Marufuku Seicha Company in Shizuoka, to a “warabi” picking party! 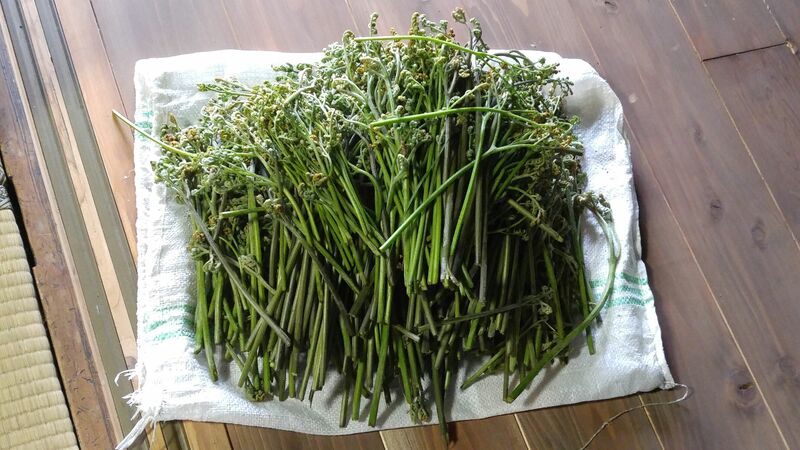 “Warabi/ワラビ/fern” is a typical Japanese wild mountain vegetable picked up in the nature in late March here! 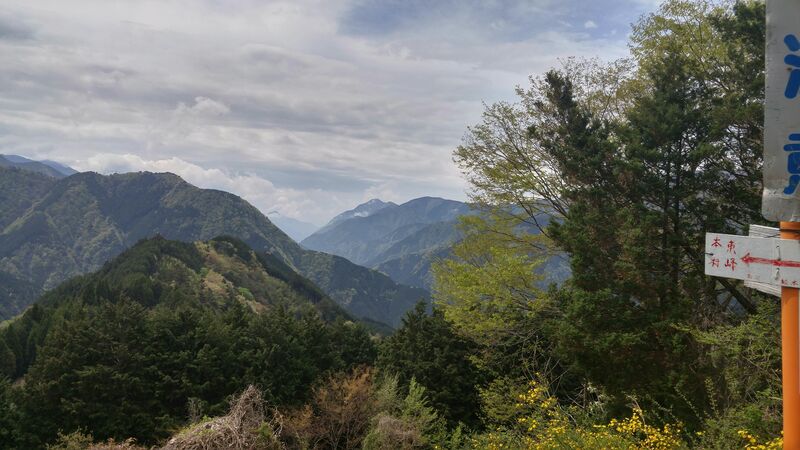 Asami has a land developed by her late father up in the mountains of Higashi Mine in Aoi Ku, Shizuoka City, up the Abe River at about 1,000 meters altitude where she grows organic Japanese plums. 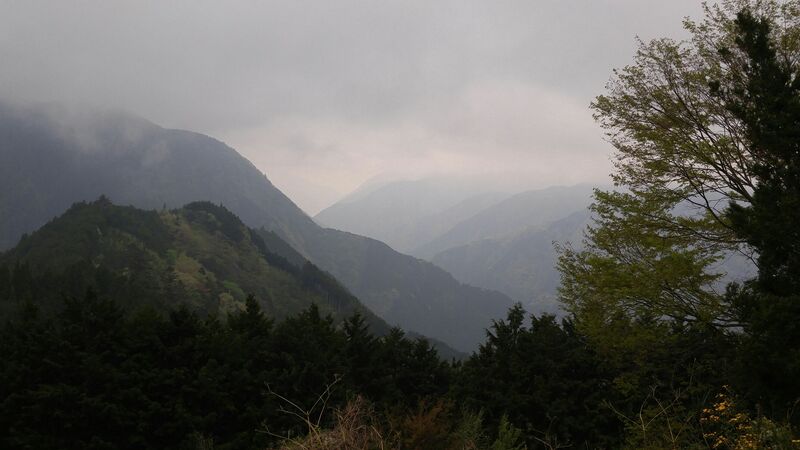 The highest altitude green tea fields in Japan! 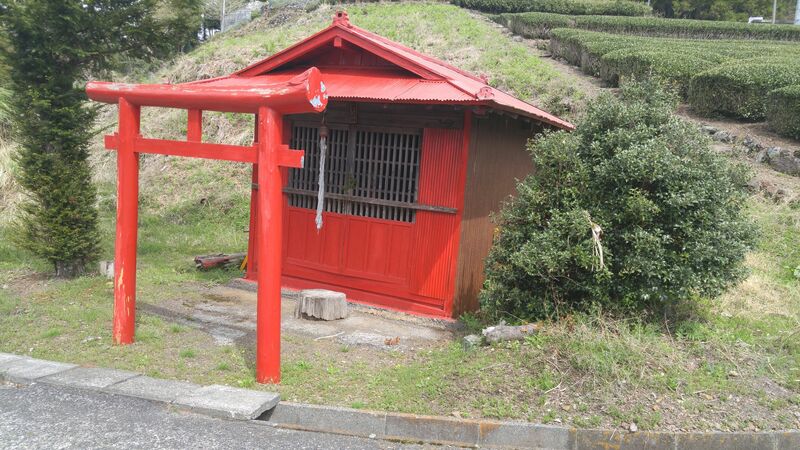 I go there quite a few times every year, but it is always quite an expedition as after reaching the end of the road we have to walk down quite a ways a steep mountain slope! 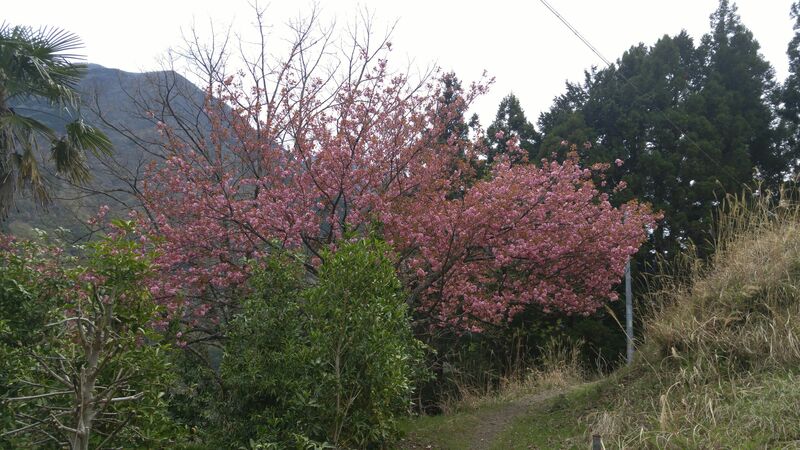 Cherry trees and others were still blooming up there! 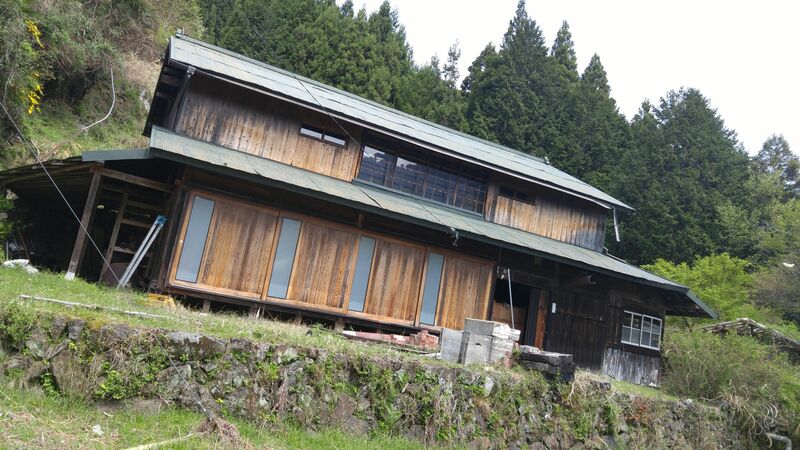 We finally reached the tradtional Japanese house that Asami’s father had built piece by piece as a “mountain retreat”! 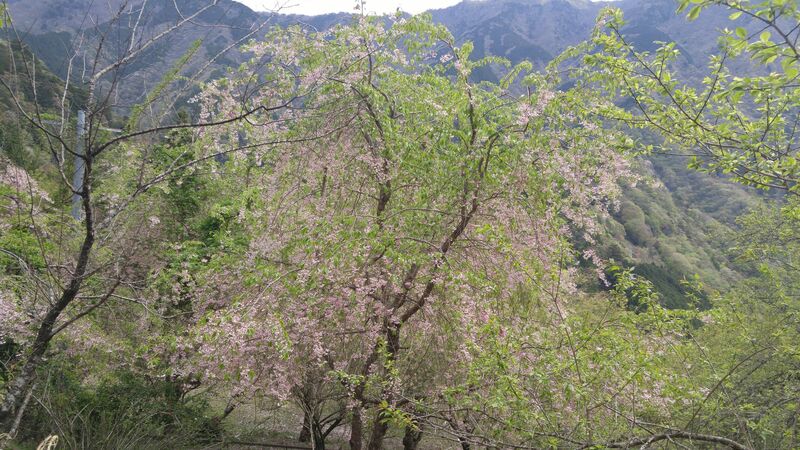 The land in front of the house is lined with dozens of plum trees and the occasional cherry tree. 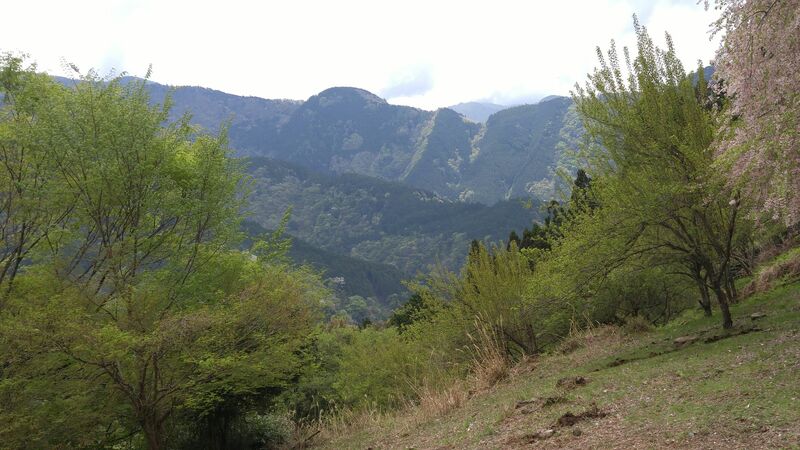 The land has not seen any fertilizer or agrichemicals for at least 20 years, making a real organic environment! 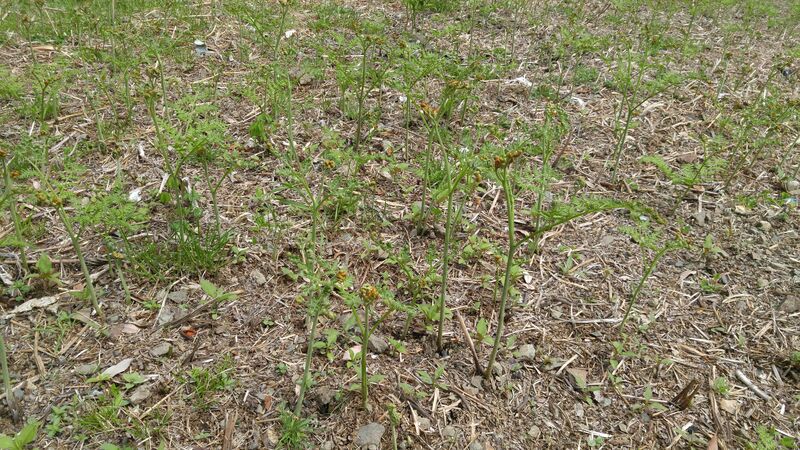 The “only problem” is that the land is roamed with wild deer who have the bad habit of leaving leeches in the soft soil! 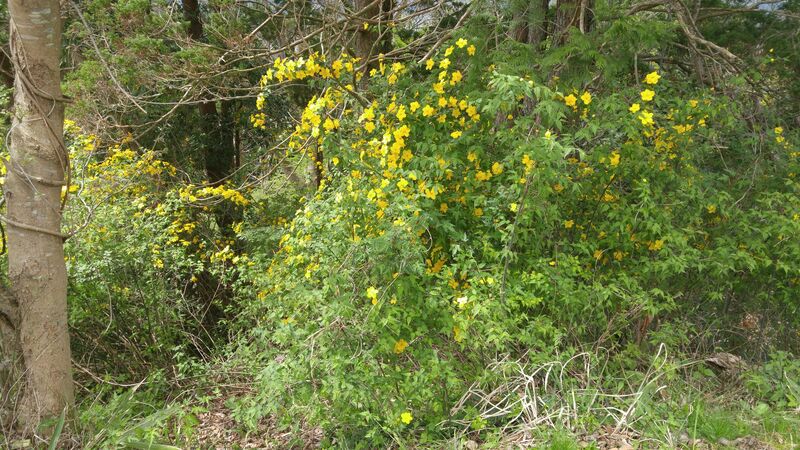 The whole space in front of the house is also covered with fern or bracken, called “warabi” in Japanese. 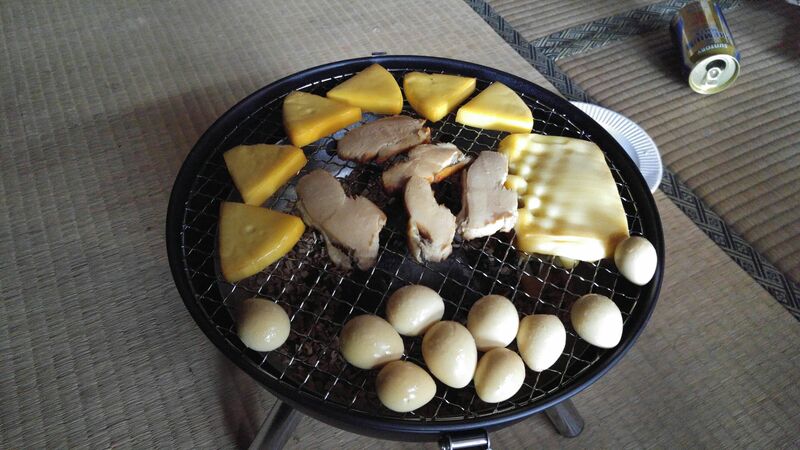 The plant needs some preparation before cooking but it is certainly worth it! 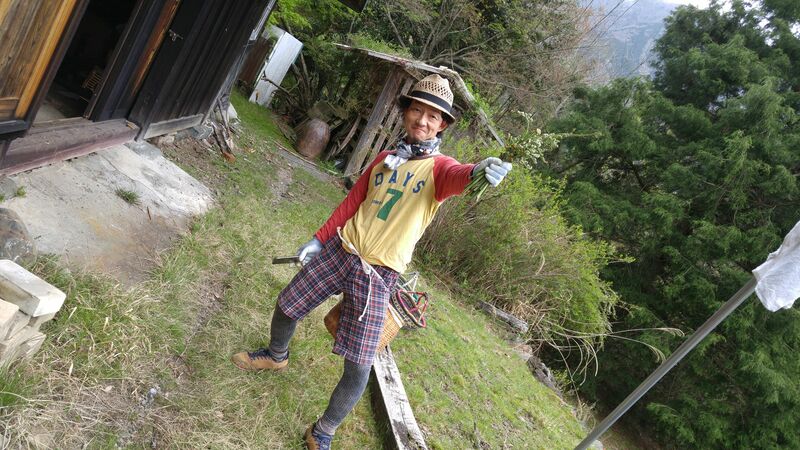 Yuichi Shiozawa, a friend who had joined us, proud of his first harvest! 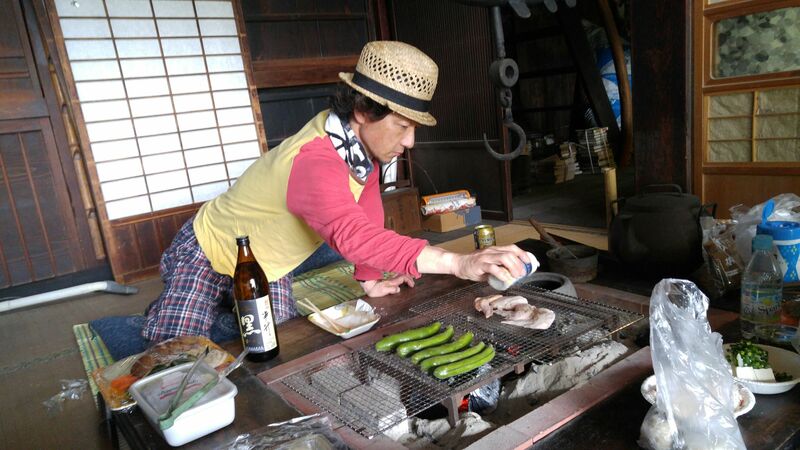 Harvesting the traditional Japanese way! 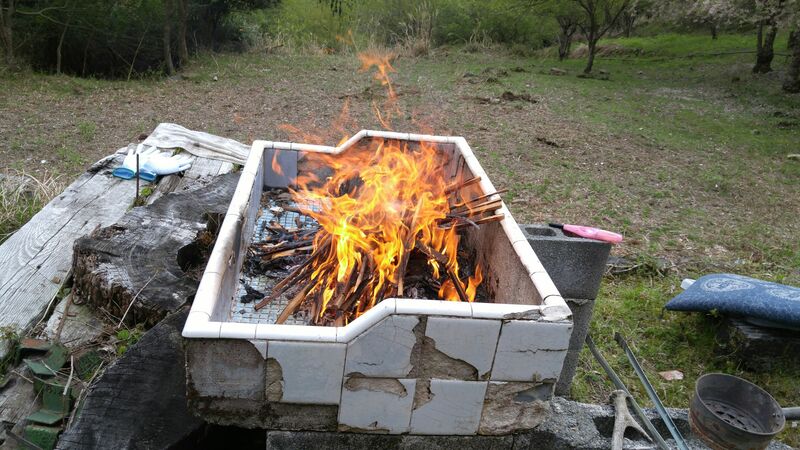 We also took the opportunity to clean the whole land before organizing the BBQ inside and outside the house! 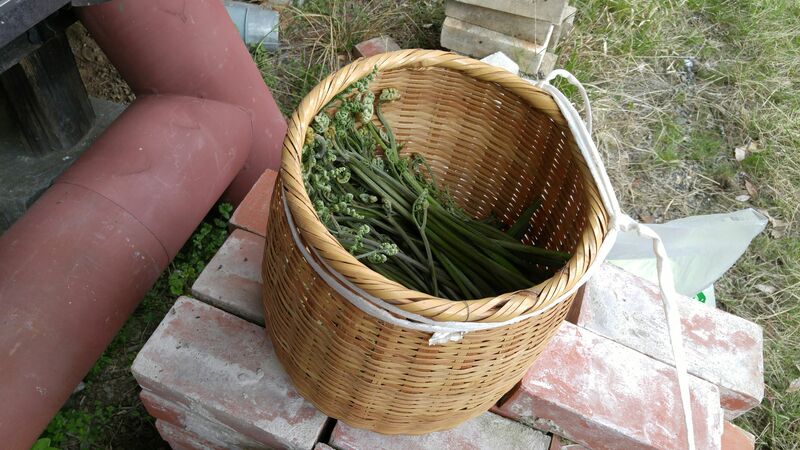 Part of the warabi harvest! 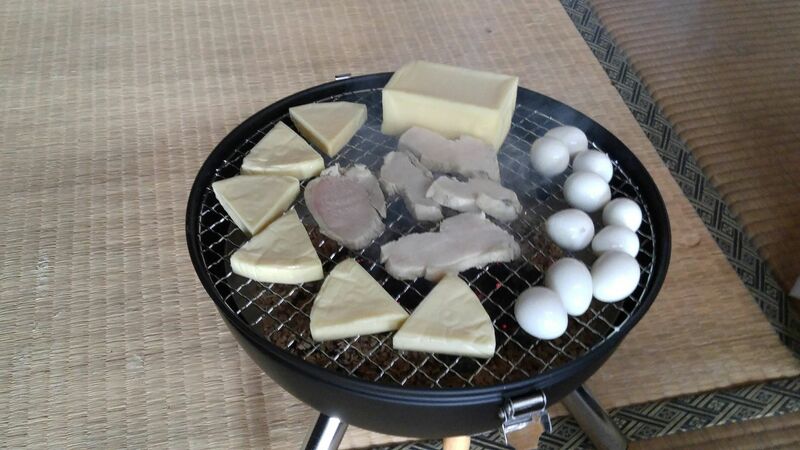 We had enough to share between five people! 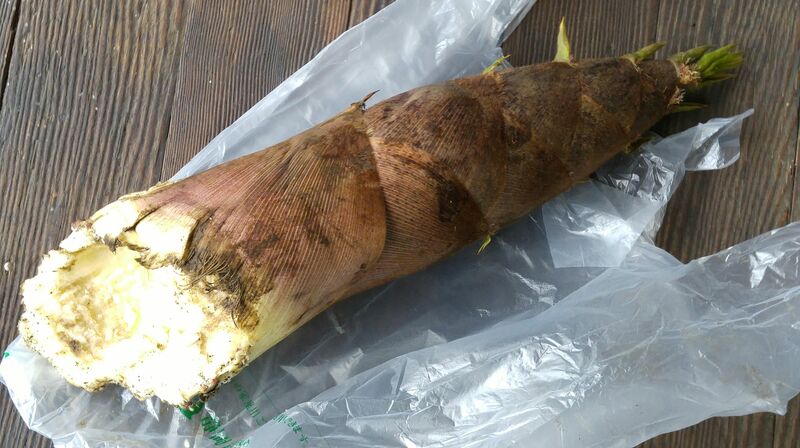 We also got some bamboo shoots in nearby land! As for the fern it does take some preparations but it is so much worth it! 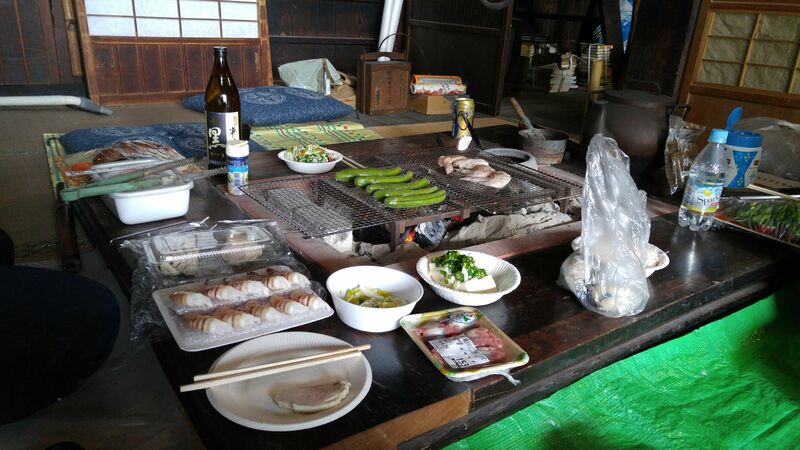 We organised the BBQ inside the house around a “irori/traditional Japanese fireplace”! 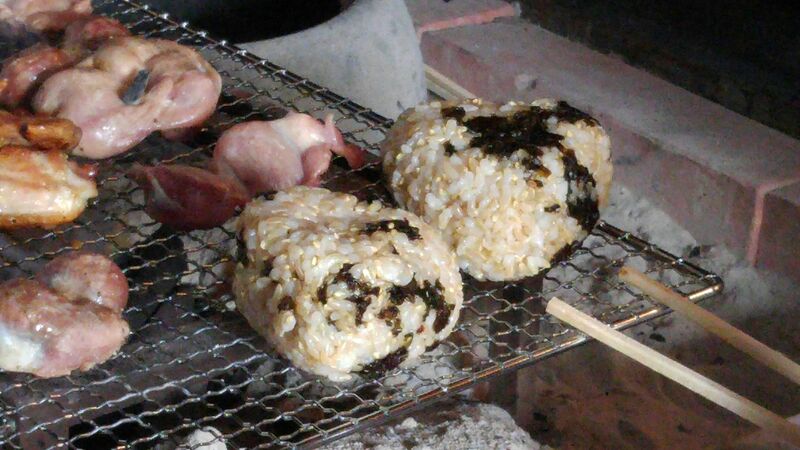 As lighting charcoal takes quite a while on the irori I prepared plenty outside! 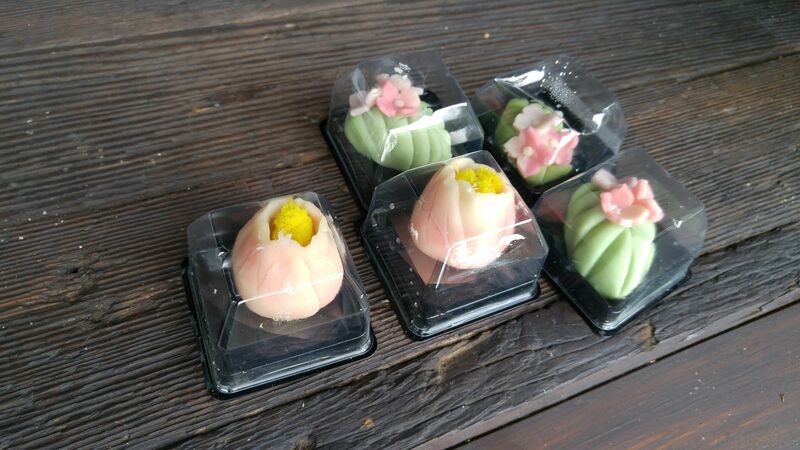 We had some homemade traditional Japanese cakes, “wagashi”, to help us wait! 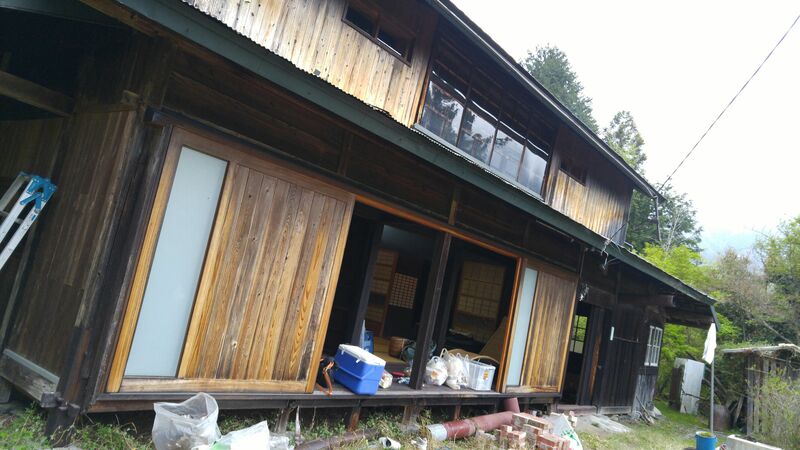 Another friend of ours, Junko Horie helped with the fire! Starting getting serious with preparation of the food (and the drinks!)! Plenty of food and drinks after the hard work! 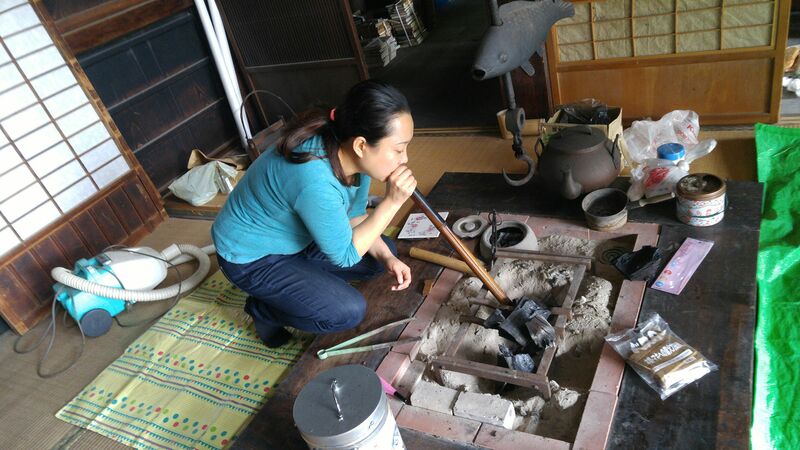 Asami had brought a portable smoking apparatus! 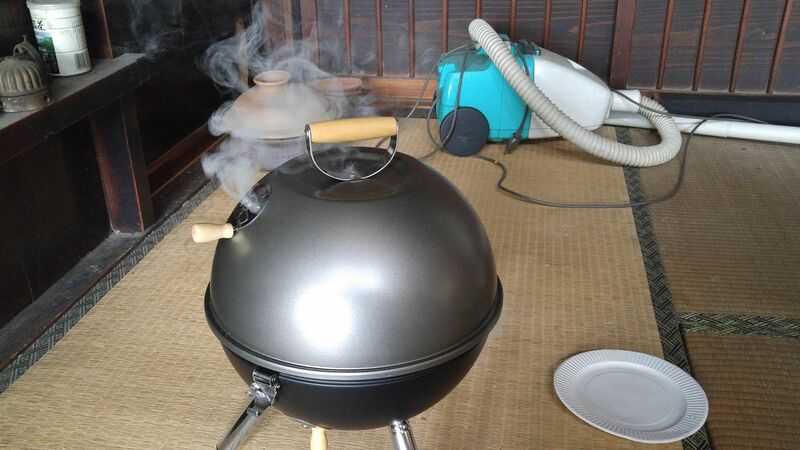 The “smoke” of the day! 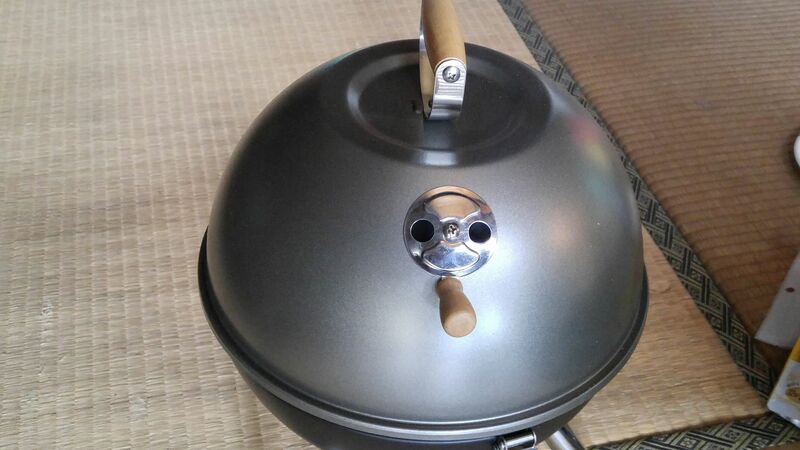 i opened it just in time to prevent the cheese from running through the grill! 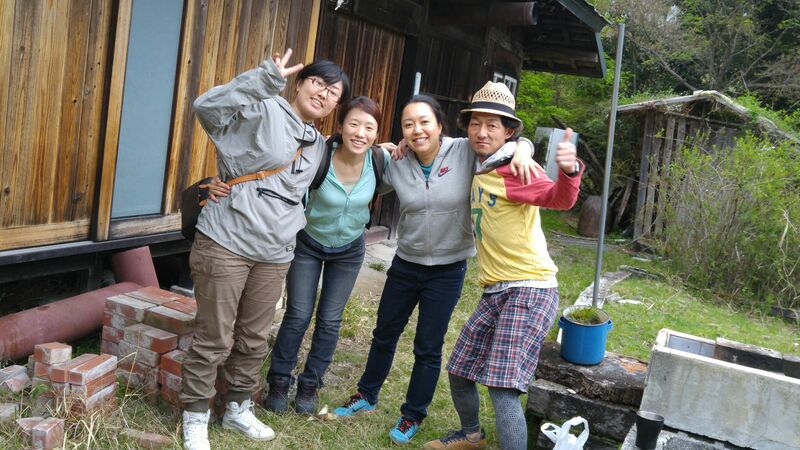 The crowd of the day: Naomi Yokota, ,Junko Horie, Asami Ito and Yuichi Shiozawa! And then it was back up the slope carrying our bounty! We left just before it started to rain! See you there again in June for organic plums picking!